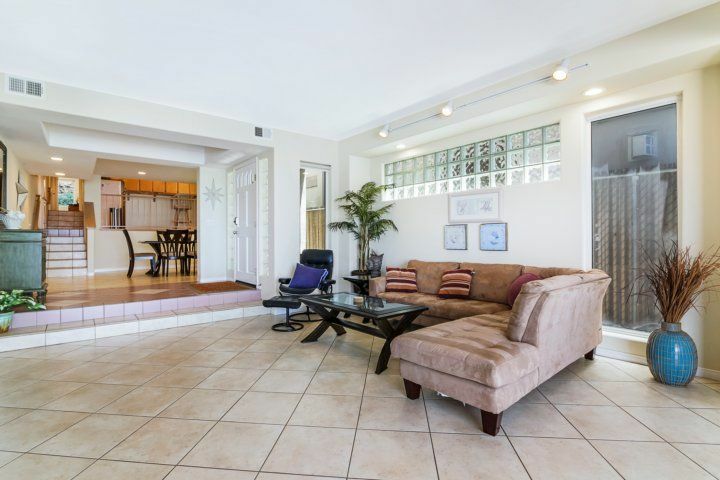 This 3BR/2BA Orange County duplex enjoys a prestigious address on Beach Road. 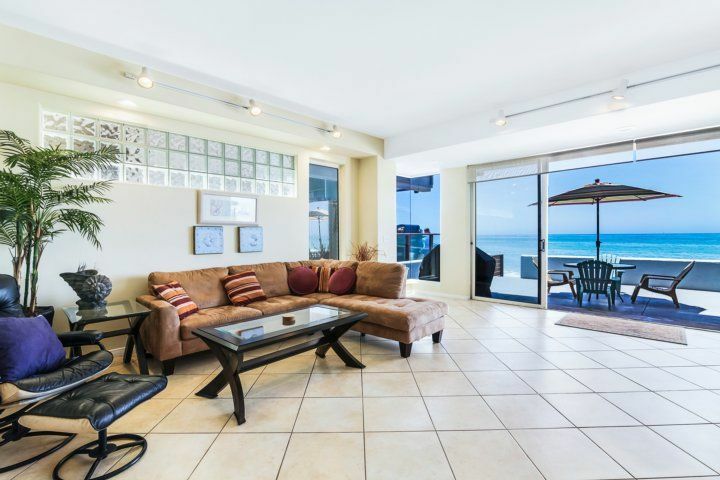 The ocean is right out your door and you have private access to the sand and surf. The lower-level unit offers convenience and easy access, with parking right across the street for three vehicles. With three bedrooms, there?s plenty of room for everyone to get a comfortable night?s sleep. 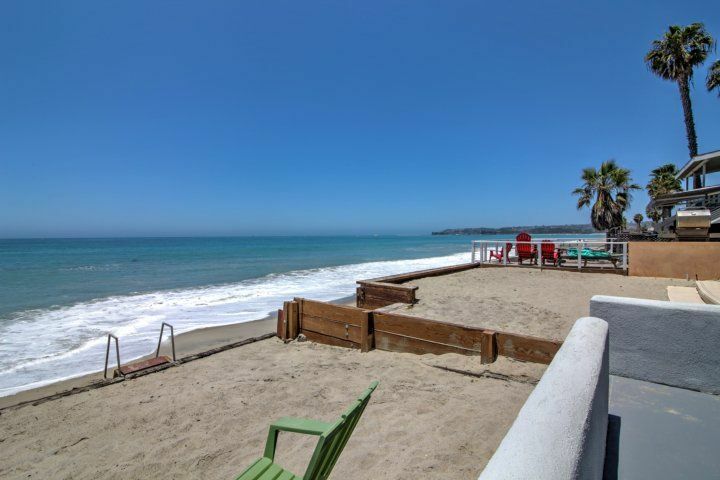 Easily reach some of South Orange County?s best sites, like San Clemente with its beautiful mountain and ocean scenery. 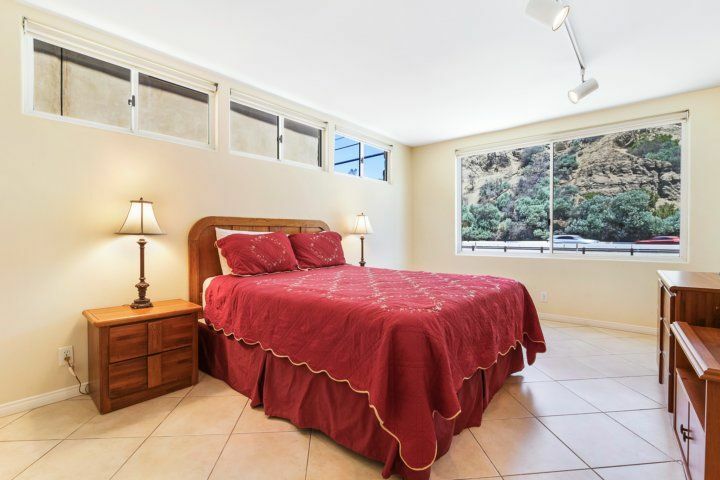 You also have easy access to Dana Point Harbor and Doheny State Beach. 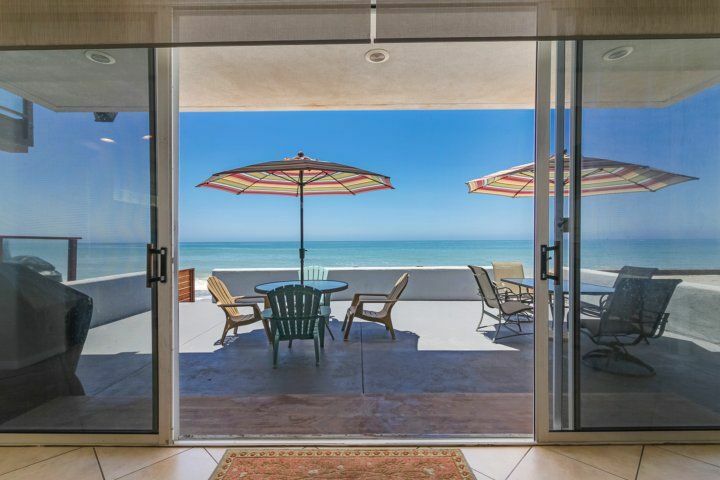 Out on the patio, sip on your morning coffee as the waves crash on the sand. Cookout on the gas grill and dine al fresco at the two patio tables seating ten total. Steps lead down to your private beach, where you can enjoy the sun from a lounger with your feet in the sand. 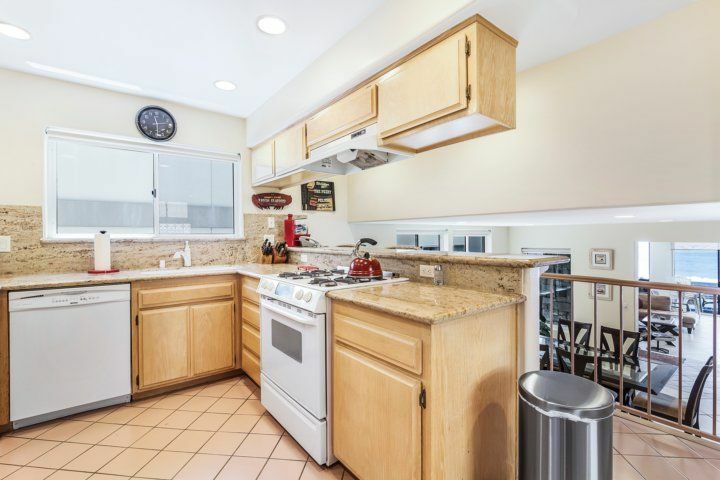 In the kitchen you?ll find granite counters and full-size appliances, including a gas stove. 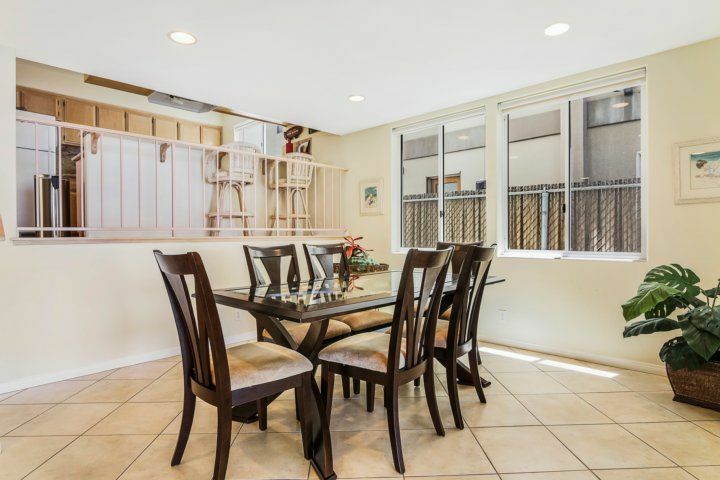 Sit down to home-cooked meals in one of the two dining areas?there?s a four-person table in the living room and a six-person formal dining table. Opt for a quiet night in and settle into the sectional couch in the living room to watch the 46? flat screen TV above the gas fireplace. 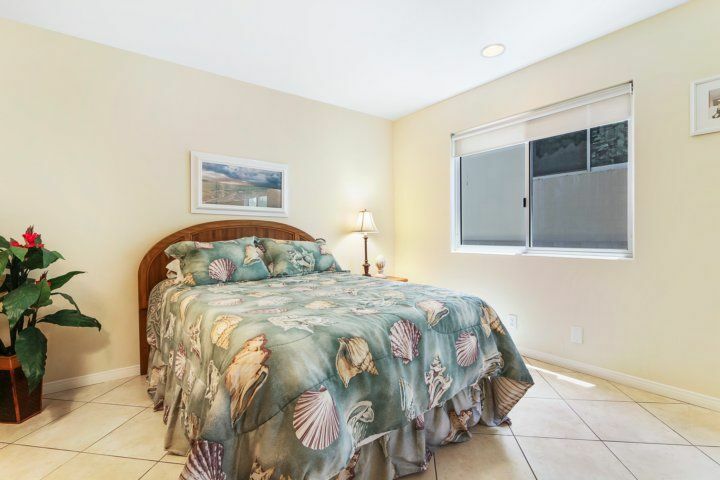 With three bedrooms, the home sleeps seven comfortably. 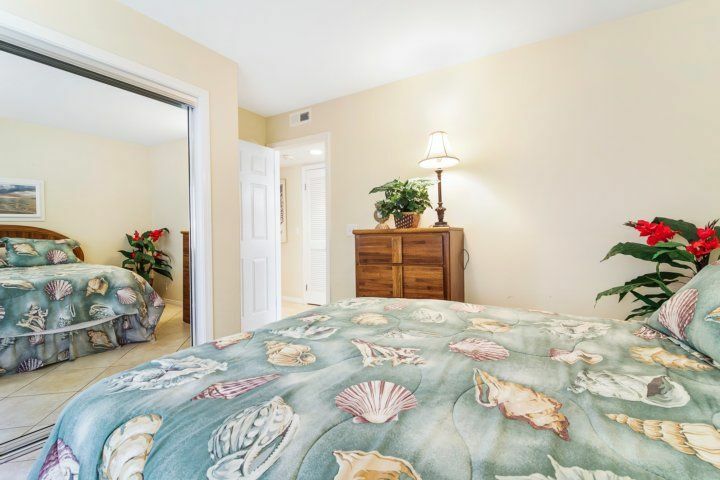 After a day in the sun, sleep like a baby in the master bedroom, which is furnished with a queen bed, 40? 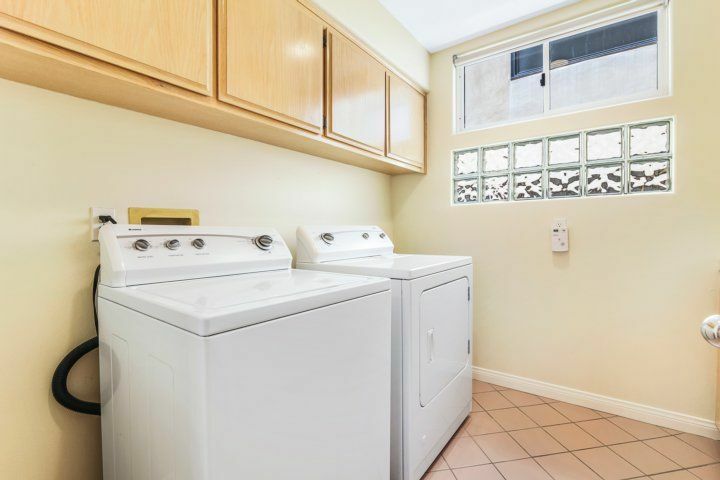 flat screen TV, and large walk-in closet. The en-suite bathroom has a tub/shower combination with glass door. 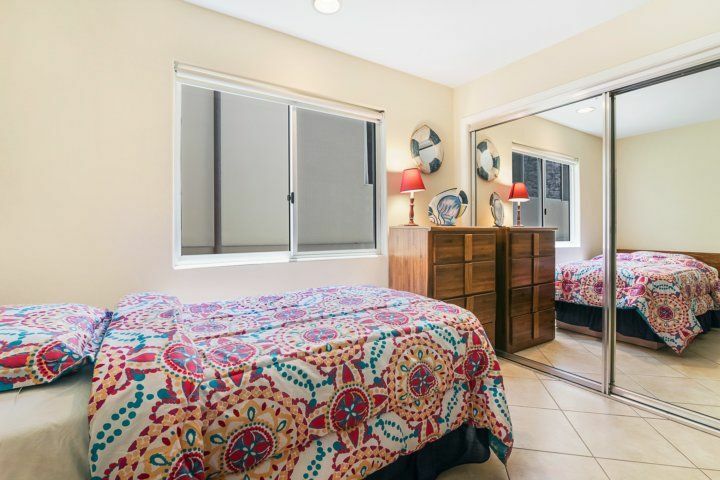 The second bedroom has a full bed, picture window, and closet with mirrored doors. 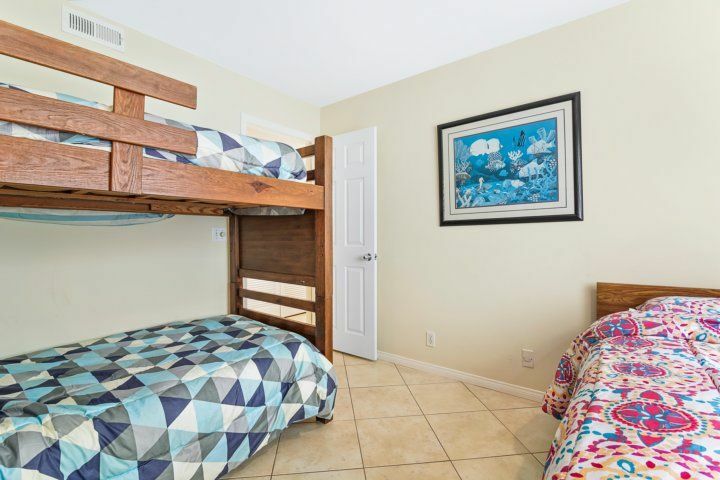 Colorful fish décor outfits the third bedroom, where guests can get a good night?s sleep in a twin bed and twin-over-twin bunk bed. 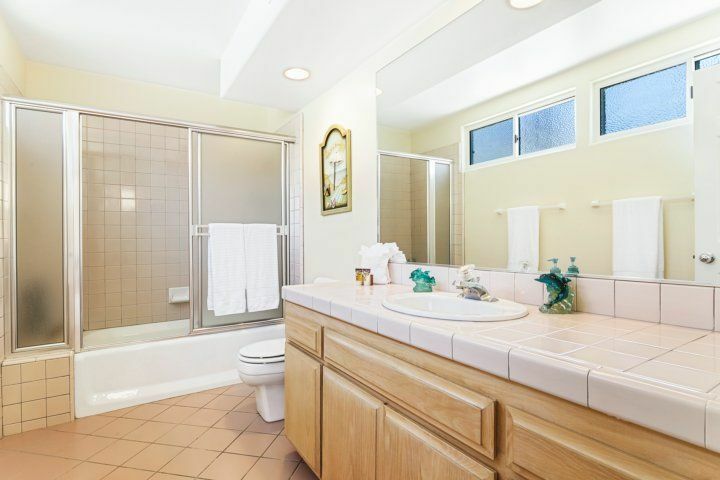 Another full bath offers extra space with two sinks and tub/shower combination. Doheny State Beach is another favored surfing beach, and is also frequented by paddle boarders and kayakers. 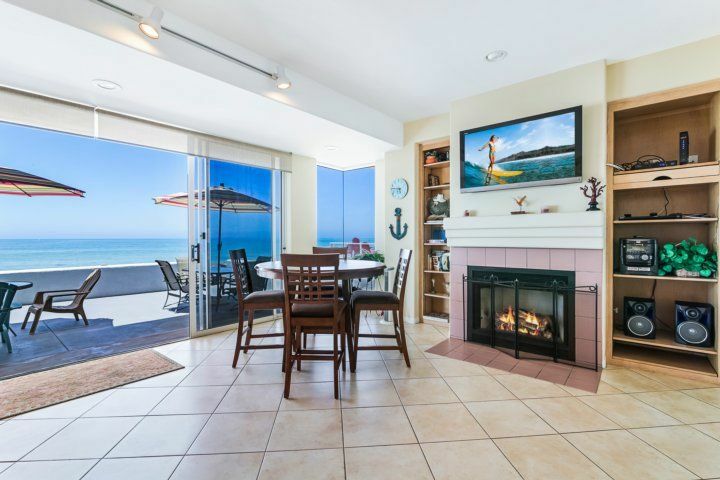 Just a 10-minute drive down the coast, San Clemente, named the ?Spanish Village by the Sea? features stunning architecture and scenic mountain and ocean views. Stayed for 3 days in September, 2017 Great Location! Great Service! Great View! Stayed for 3 days in November, 2017 Our stay started with an inoperable key code. 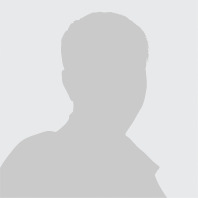 When I called Turnkey they said they had emailed me the wrong code and gave me the correct code over the phone which I am glad I wrote down, because the lady said that she would email it also. That email never came! Good thing it was noon and not midnight. It seems like other reviewers have had the same issue with the code not working. The house is nice and comfortable. The kids loved being right on the beach. The only thing is that the house is about 100 feet from railroad tracks. So, the trains going by at 6am or at midnight can be annoying. Especially, if you like to sleep in while on vacation! Stayed for 4 days in March, 2018 Clean house, comfy beds, found everything we needed inside rental. Bath tubs did not work, which made it difficult for bathing kids. Train was loud in master bedroom. Wonderful beach location. More rocks/pebbles on beach than we were expecting, which meant less sand for kids to play in, but a short walk down the beach offered plenty of places to play in sand. Felt very safe in location. 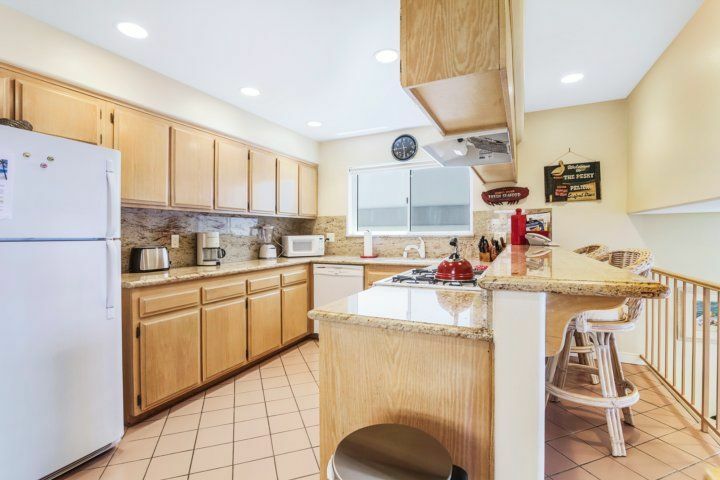 Stayed for 3 days in April, 2018 The property location is excellent and the description on the TurnKey website is accurate. The premises were quite clean with the exception of the patio windows. 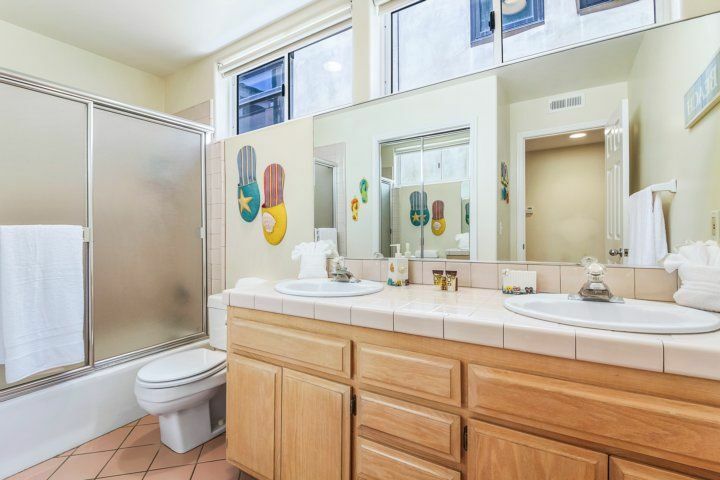 This bottom duplex unit has all tile floors on 3 levels, so expect a few stairs. 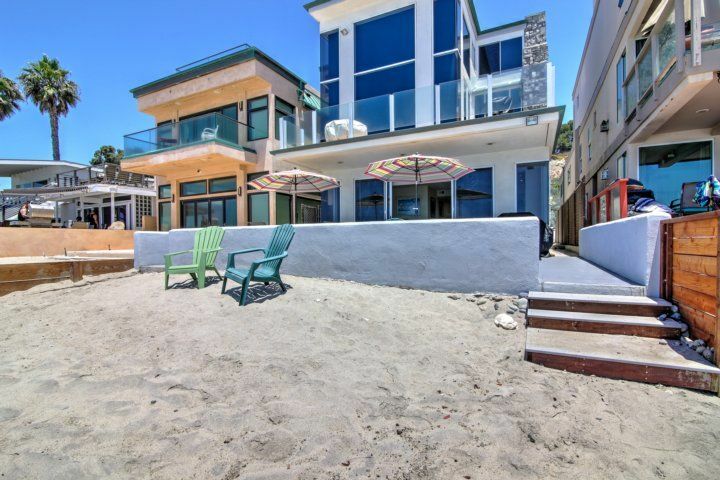 The furnishings are Spartan?but, hey, it?s a beach house. We had a wonderful stay. Apart from a few minor maintenance items (flickering lights, windows that are difficult to open/lock, no batteries in a couple of remotes, and two burned out exterior lights) this is a five-star property. It would also be nice if there were some basic cleaning supplies available to guests like a broom, mop, cleanser, and a laundry basket. The kitchen is devoid of spices and cloth towels, so bring your own. There are only eight plates, so expect to do dishes after every meal.It is very relaxing to watch the waves from the patio. There are several beautiful adjacent public beaches to the north, which go on forever. They are easily accessible by foot, bike, or car. I rented a bike and discovered many bike paths between San Clemente and Salt Point. Doheny State Beach is a delight. Salt Point State Beach is nice, too. 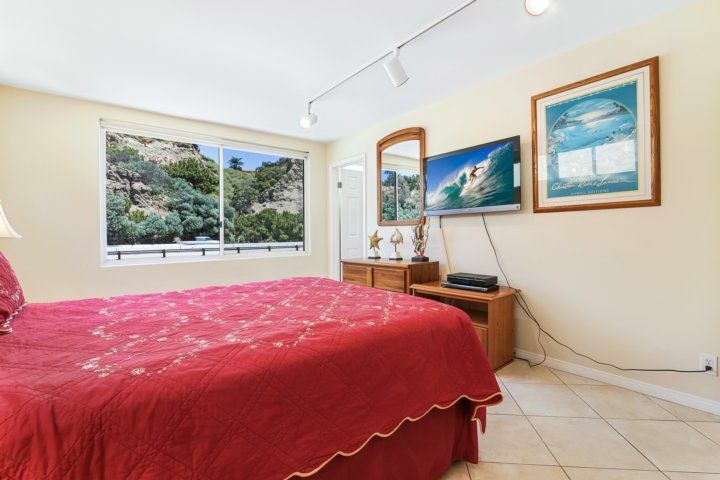 Overall, 85061 Beach Road is in an ideal location and a very pleasant place to stay. 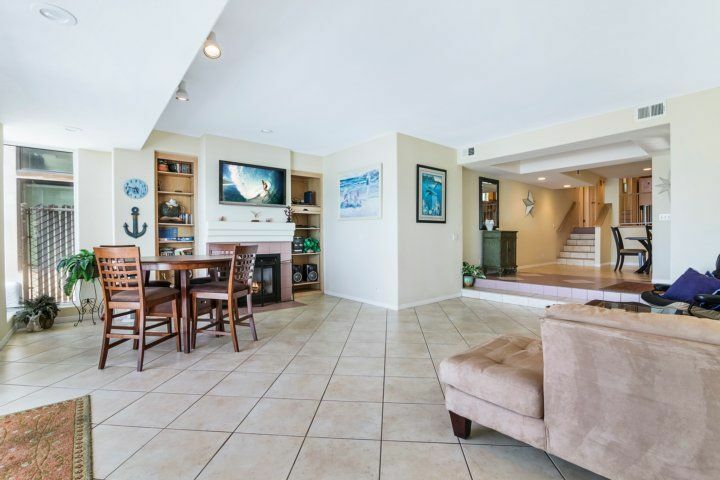 Stayed for 3 days in June, 2018 This large 3 bedroom home was amazing! It was very clean and perfect for my family of 6. The view was stunning and location could not have been better. I would definitely recommend this property to others. We had a fabulous time.